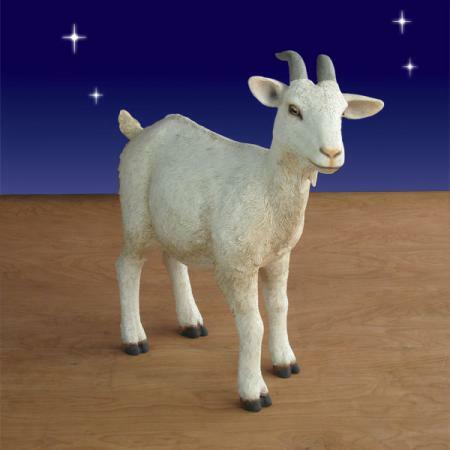 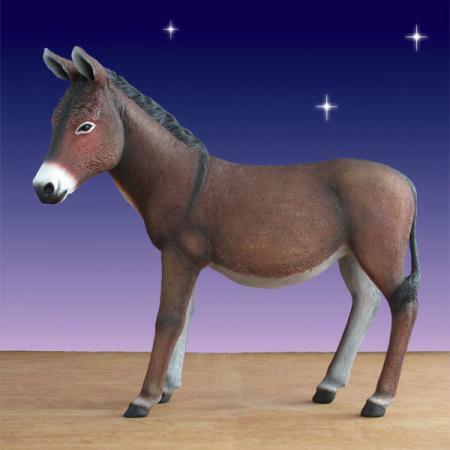 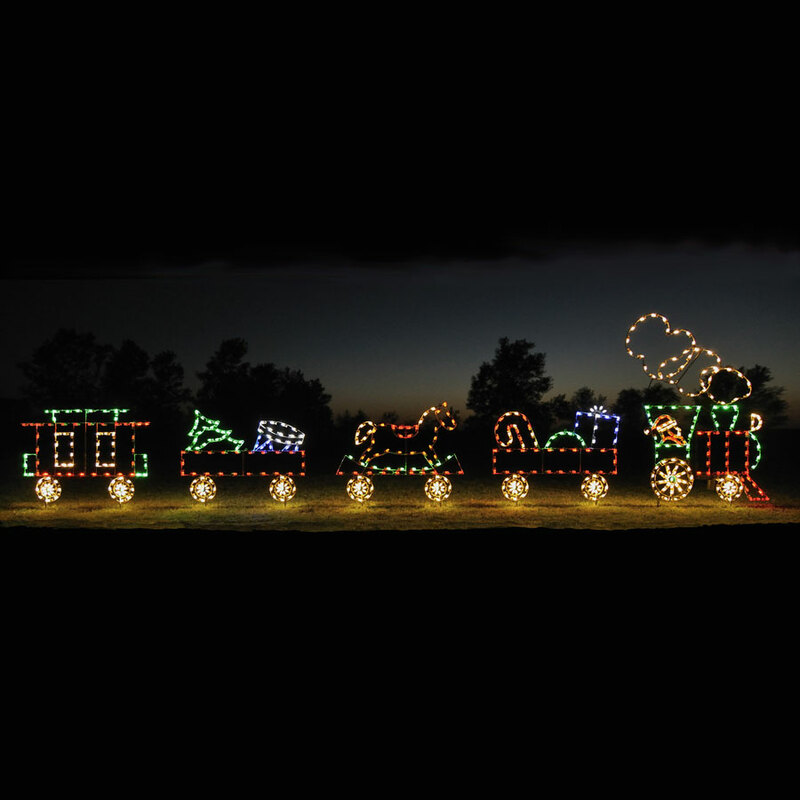 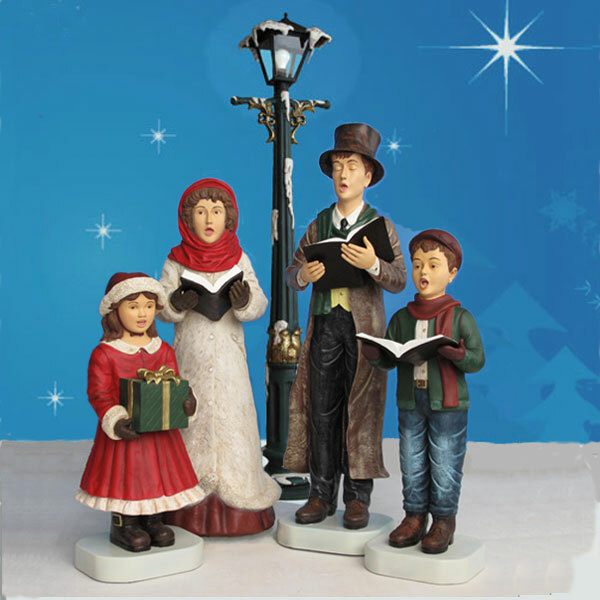 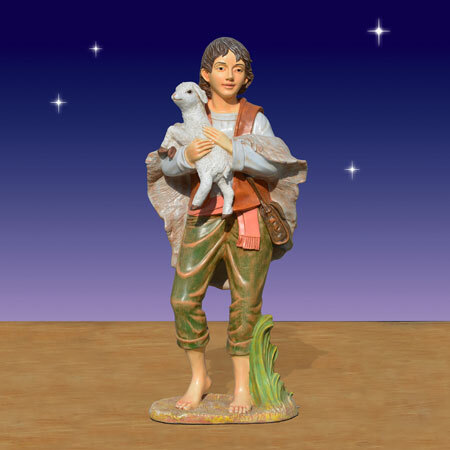 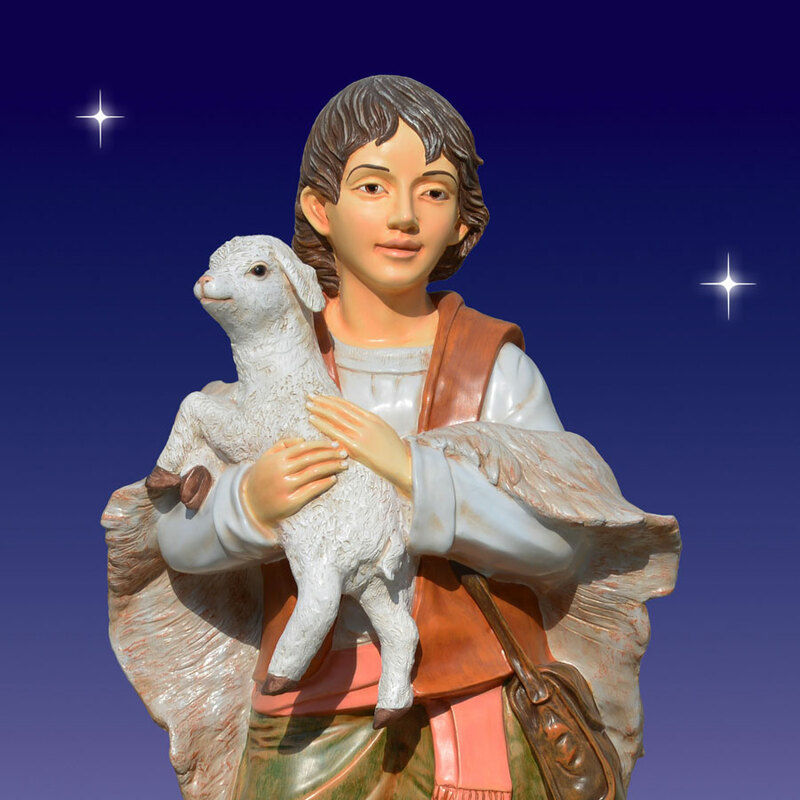 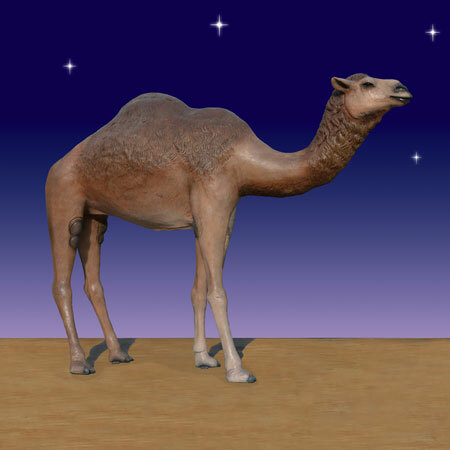 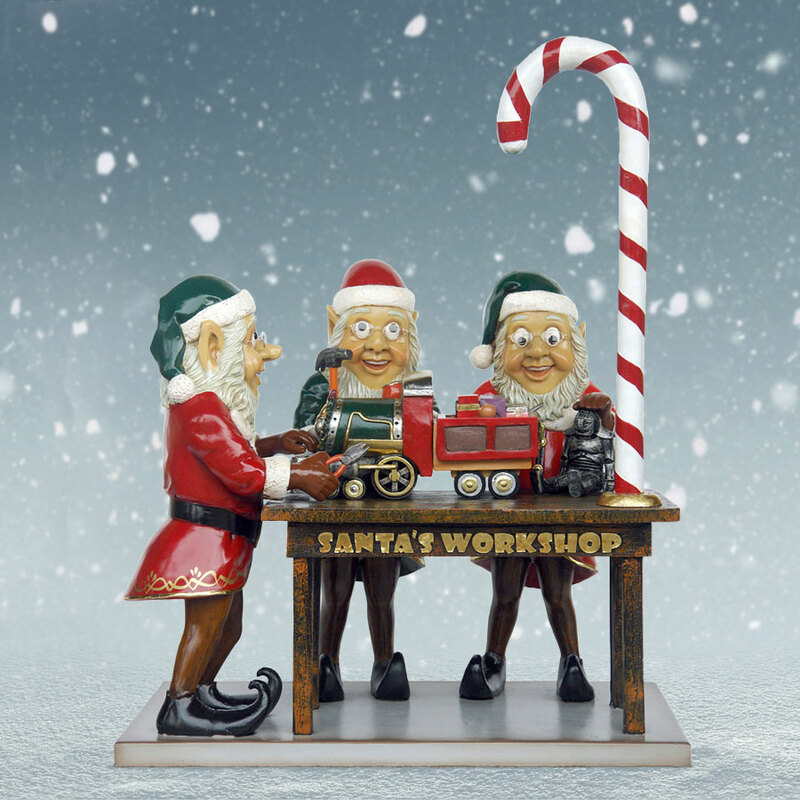 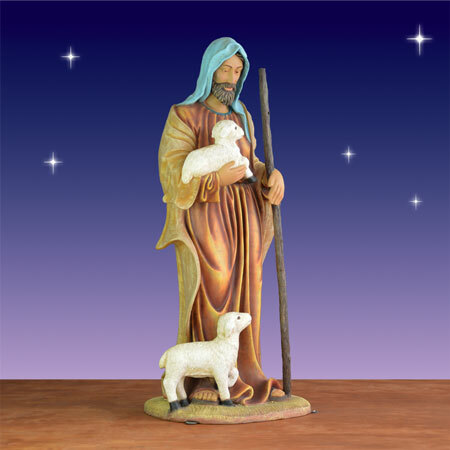 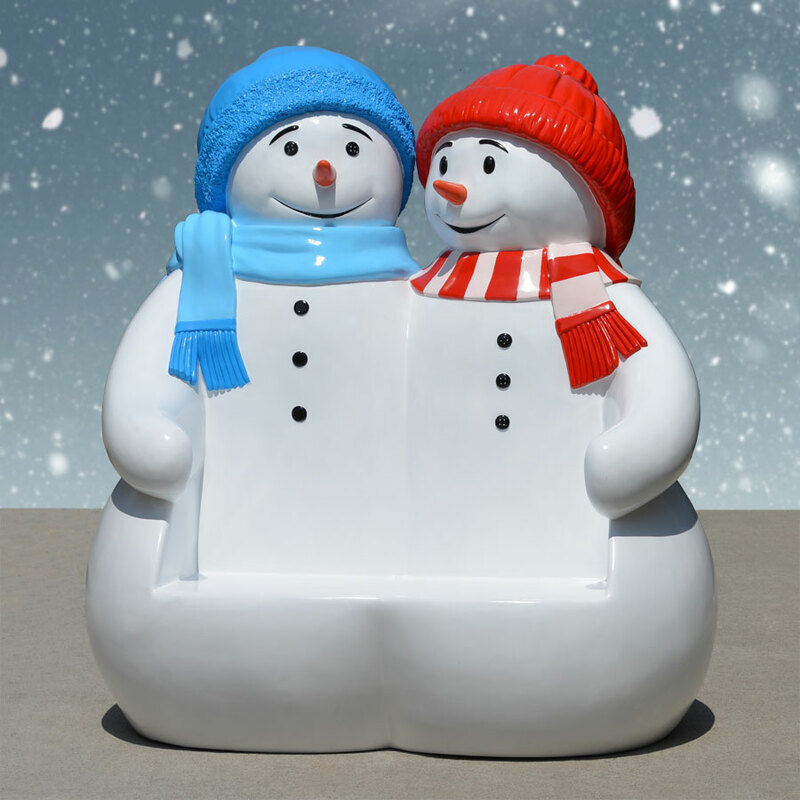 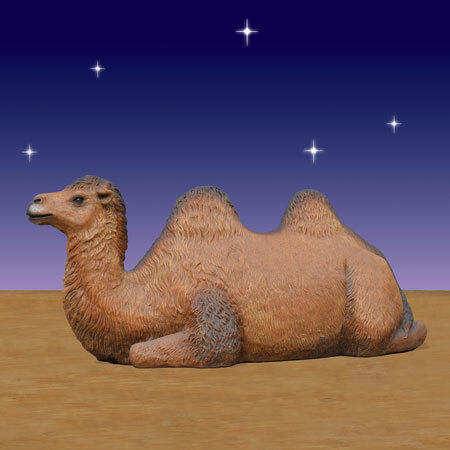 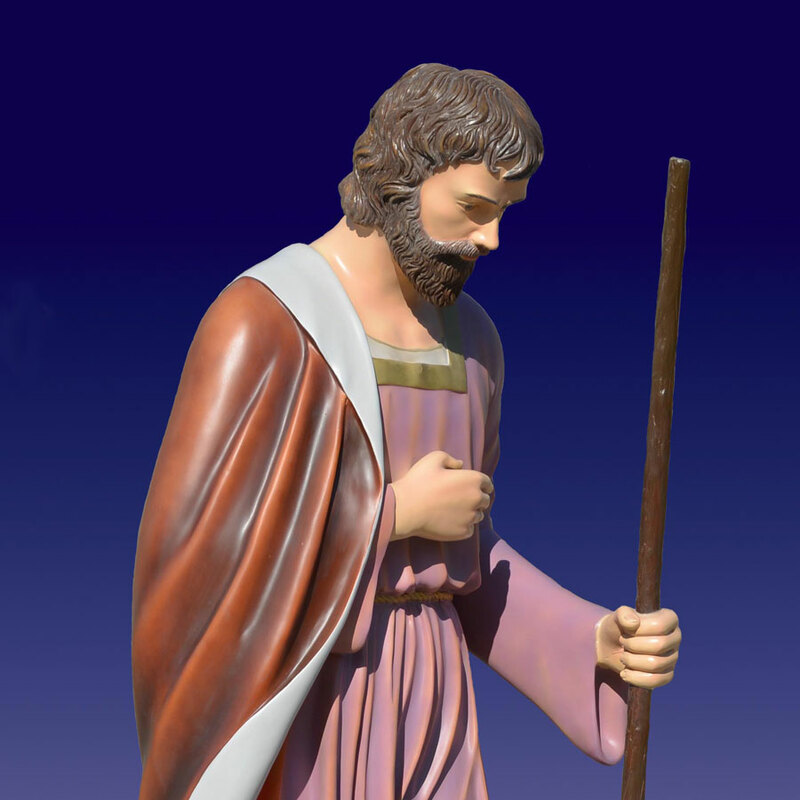 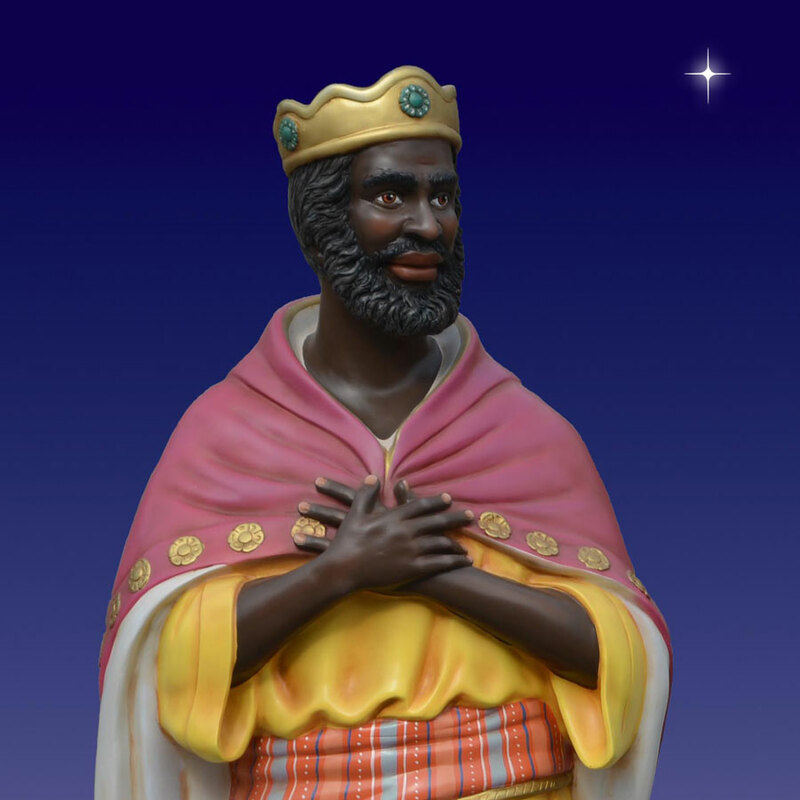 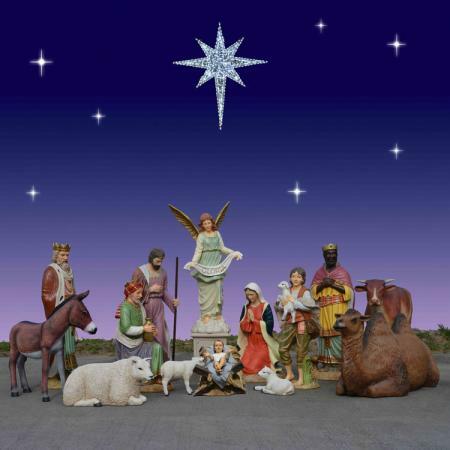 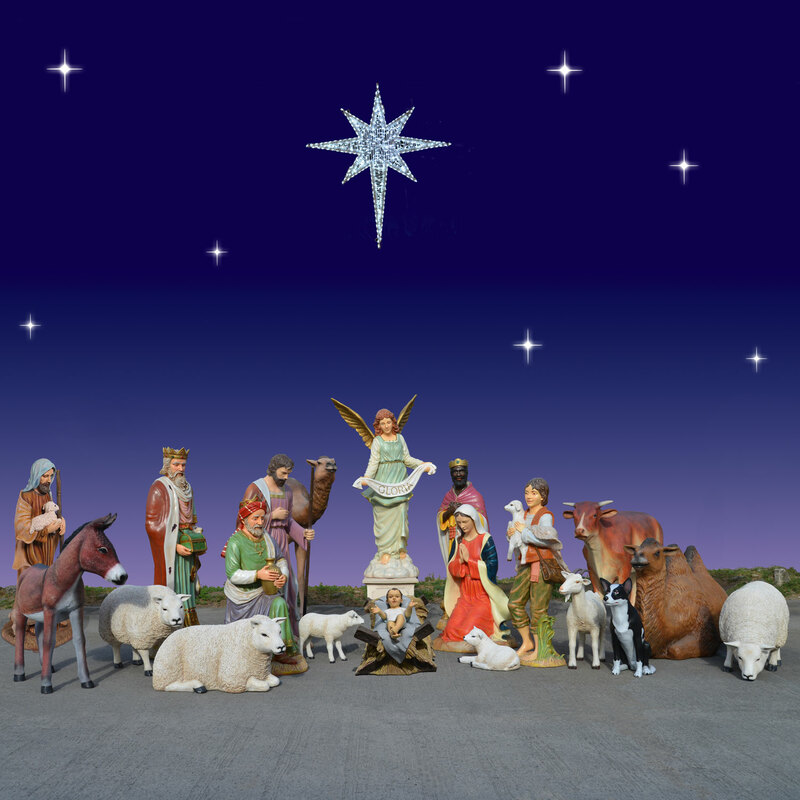 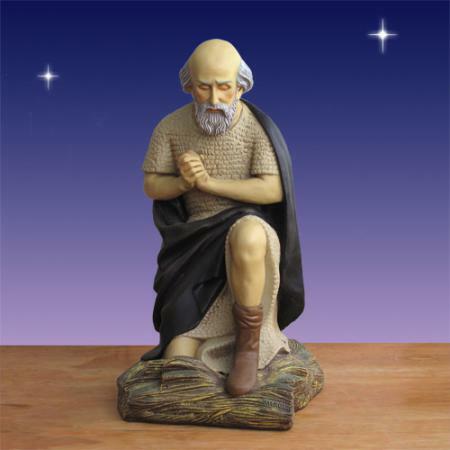 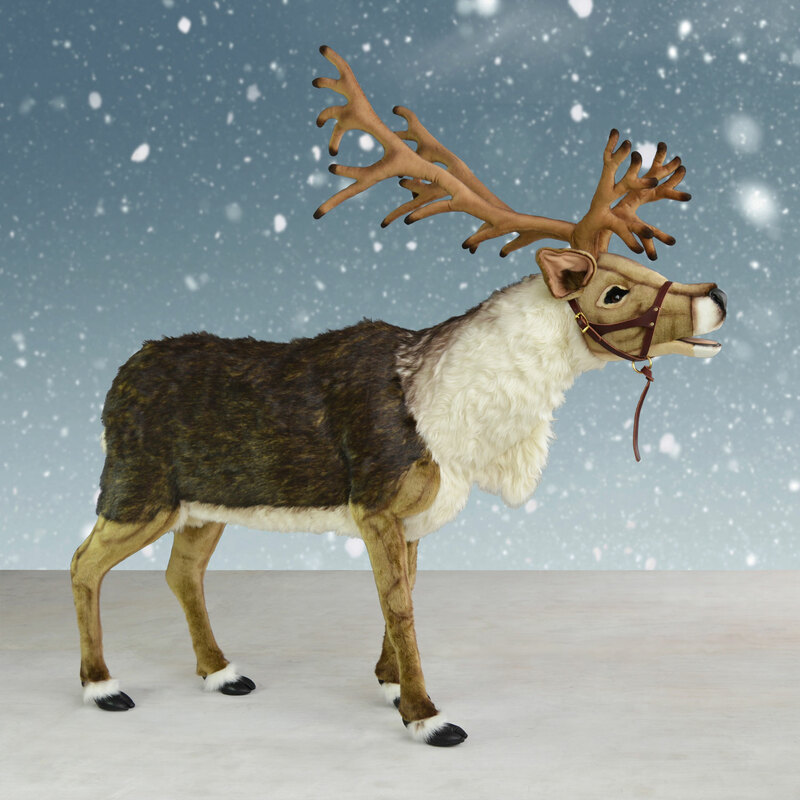 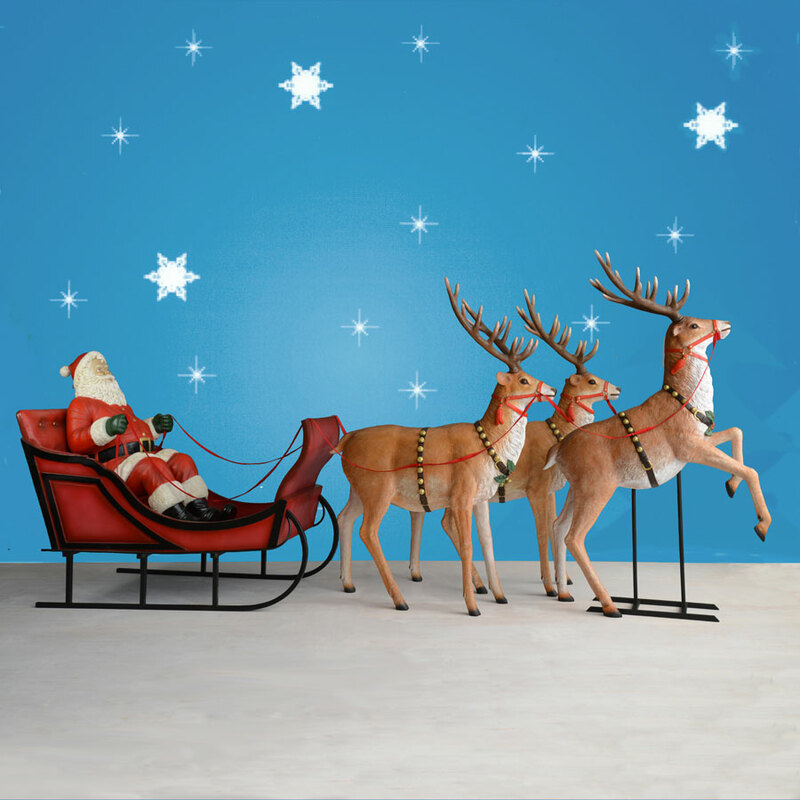 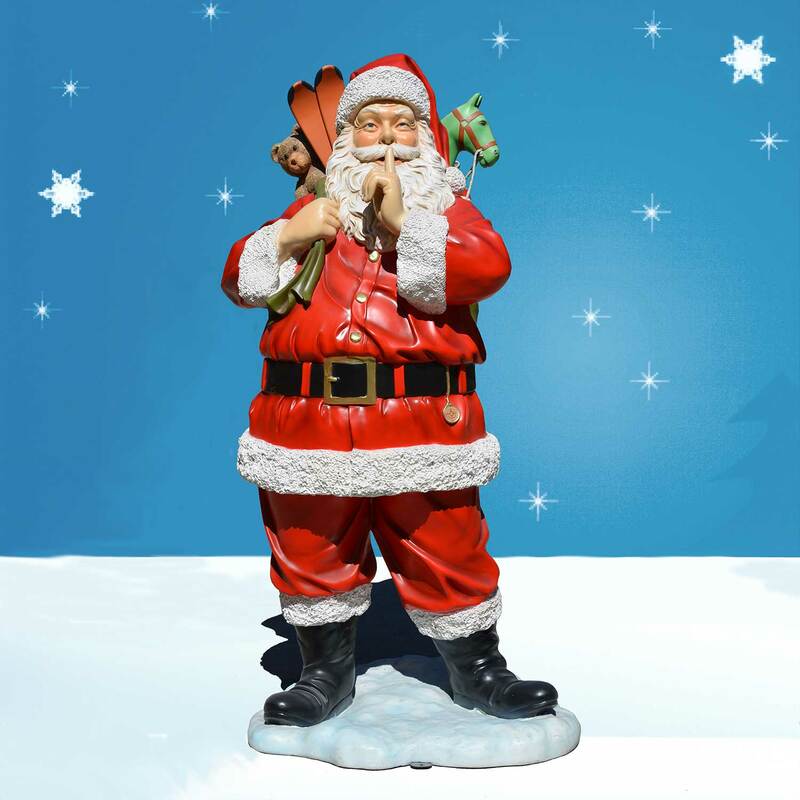 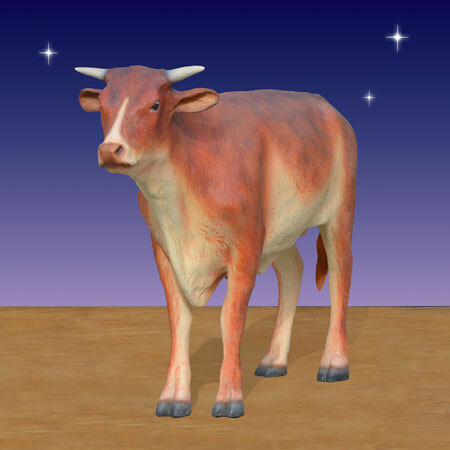 The Huge Outdoor Nativity and Animal Scene includes 20 beautifully crafted Nativity figures. 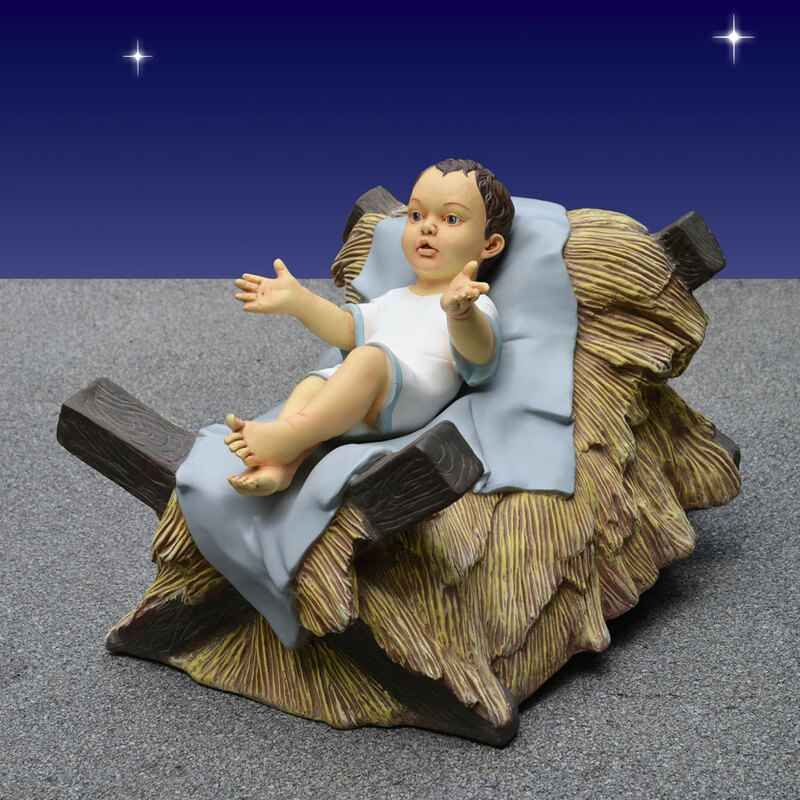 The set is designed by Christmas Night in the traditional old-world style associated with the original telling of the Nativity story, which captures the activity of the night Baby Jesus was born. 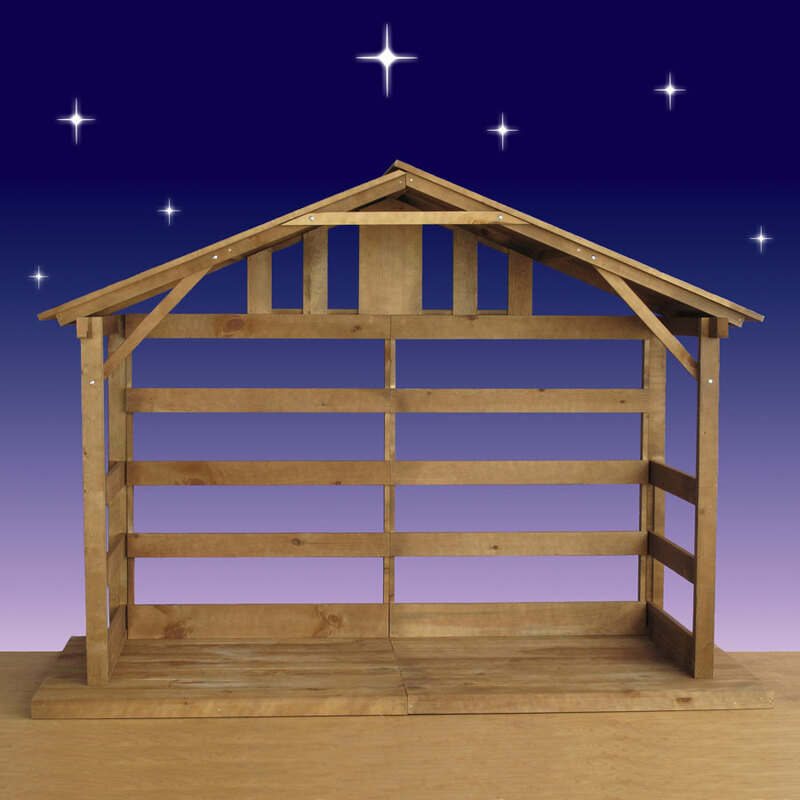 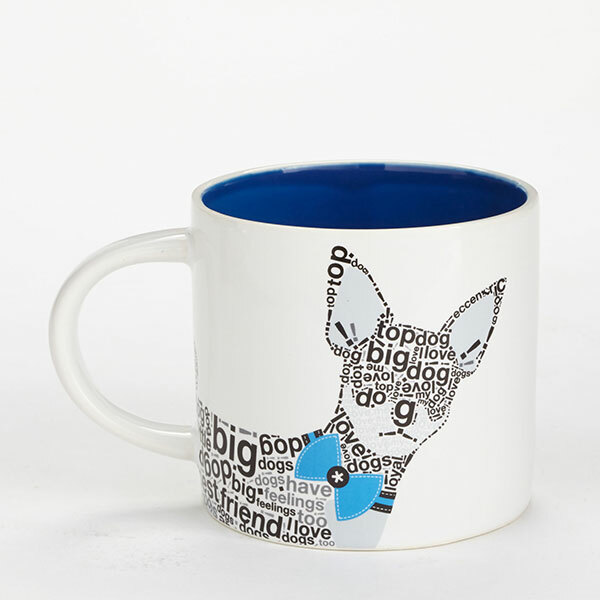 The set includes the Holy Family, Baby Jesus with a separate manger, animals, kings and shepherds. 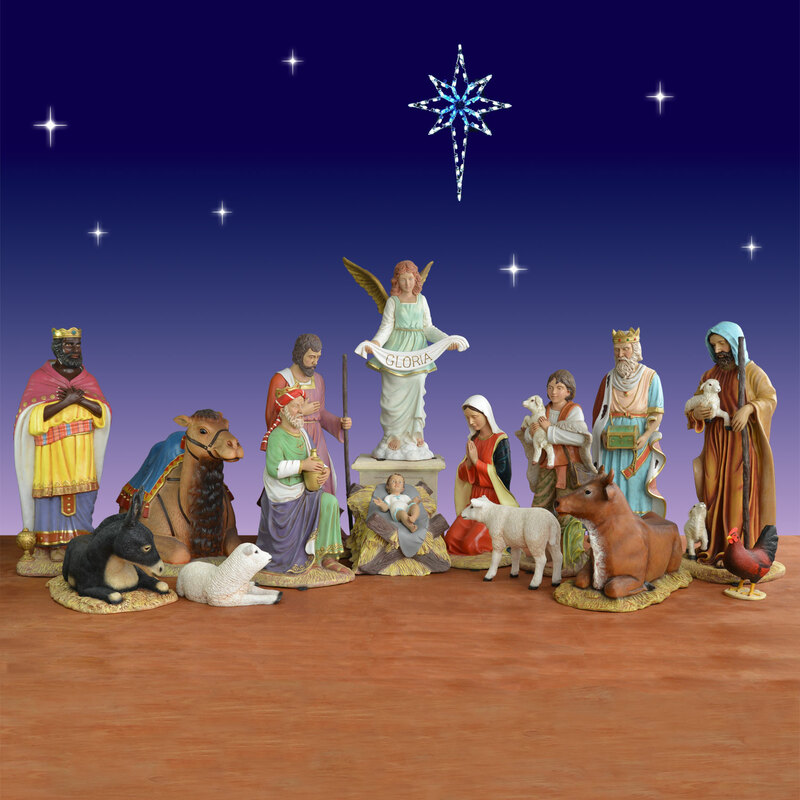 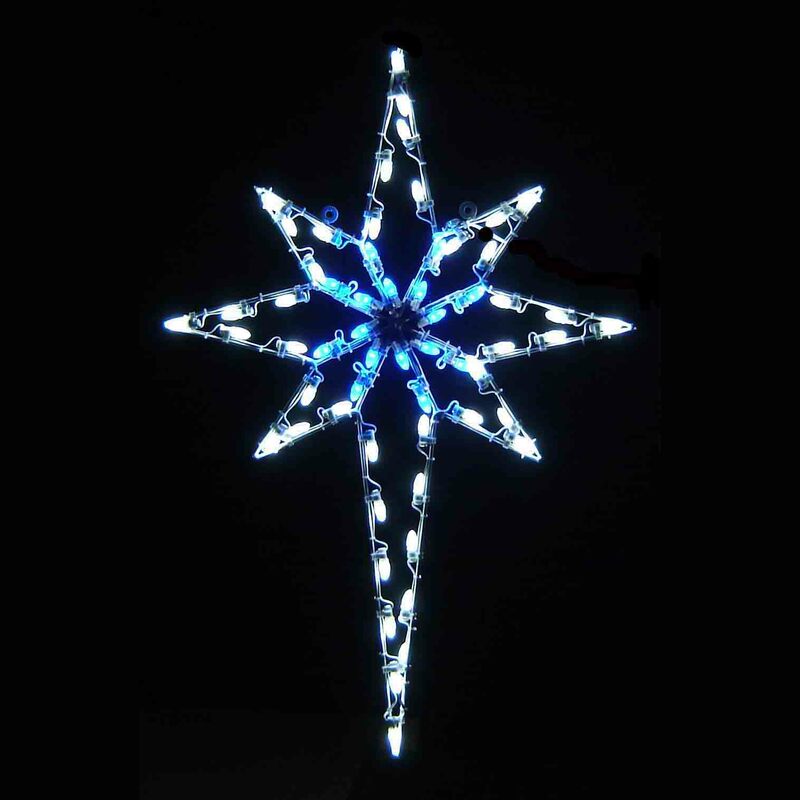 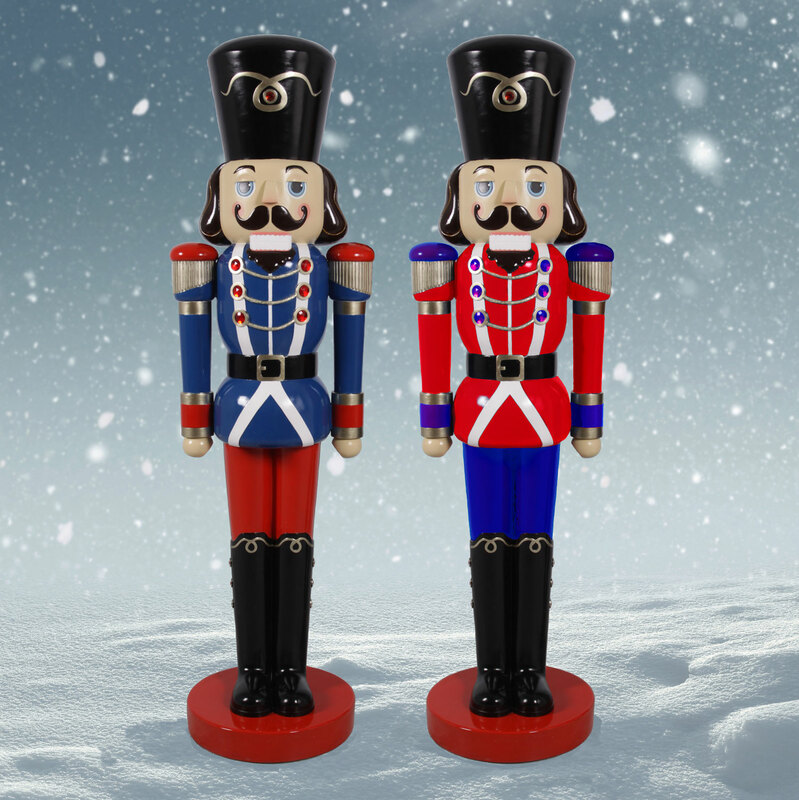 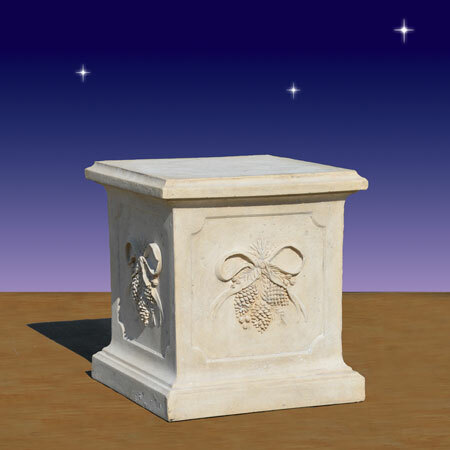 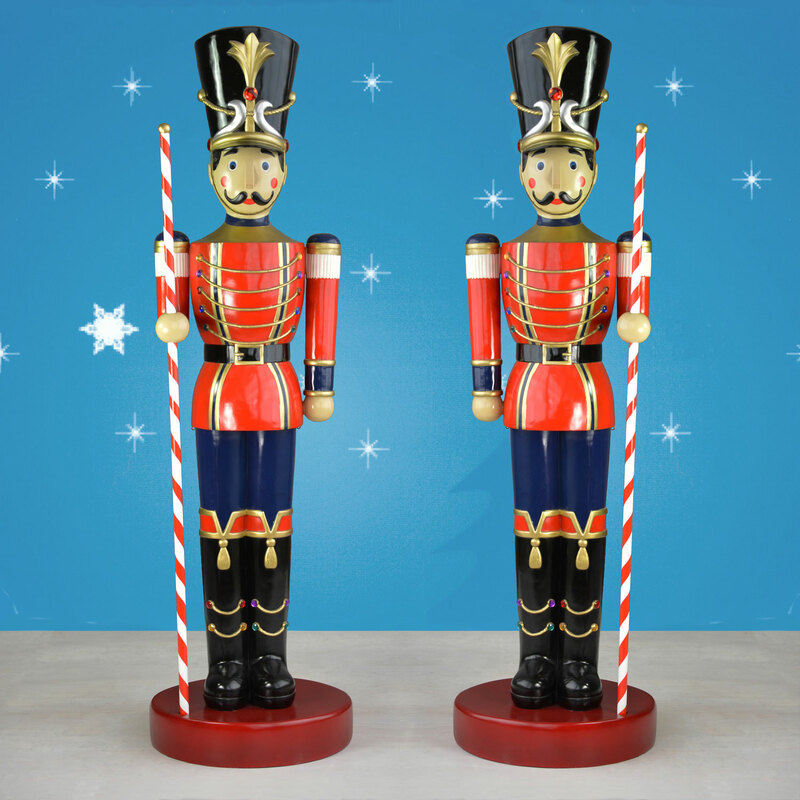 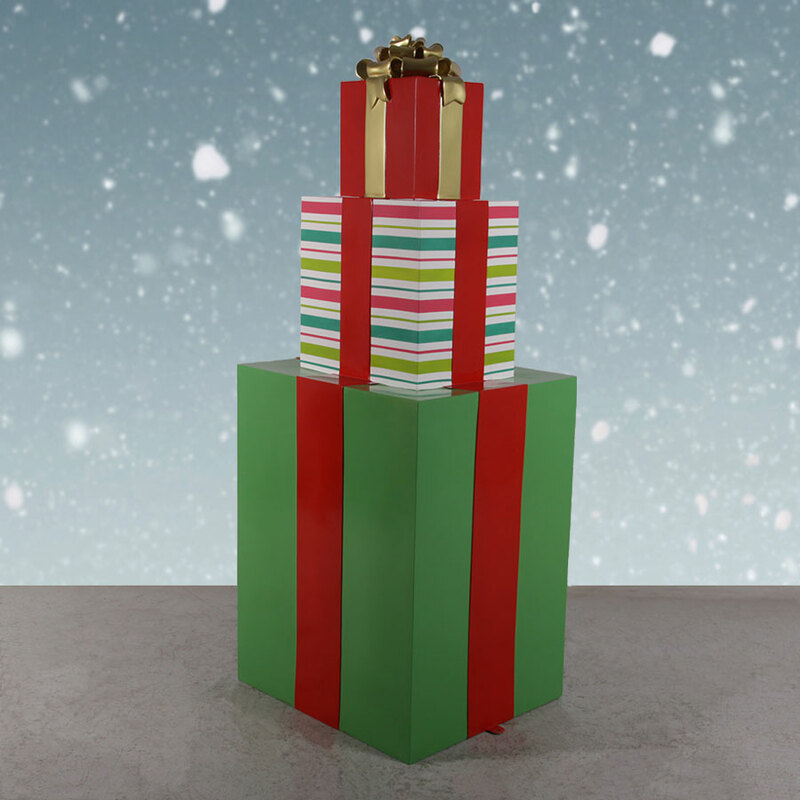 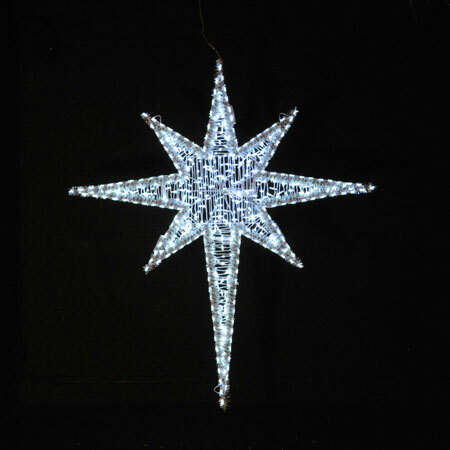 The Star of Bethlehem and pedestal are sold separately; please see items 76801 and 39900, respectively. 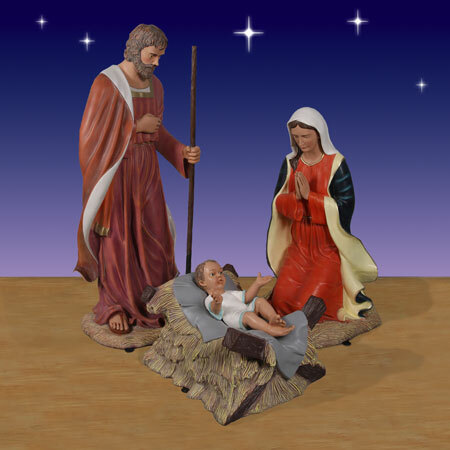 The figures included in the Christmas Night Nativity Collection are made of the highest quality fiberglass resin available. 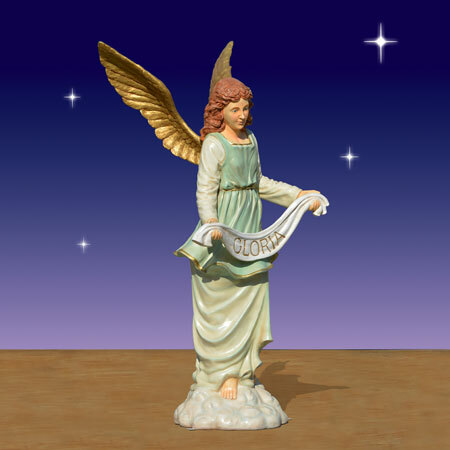 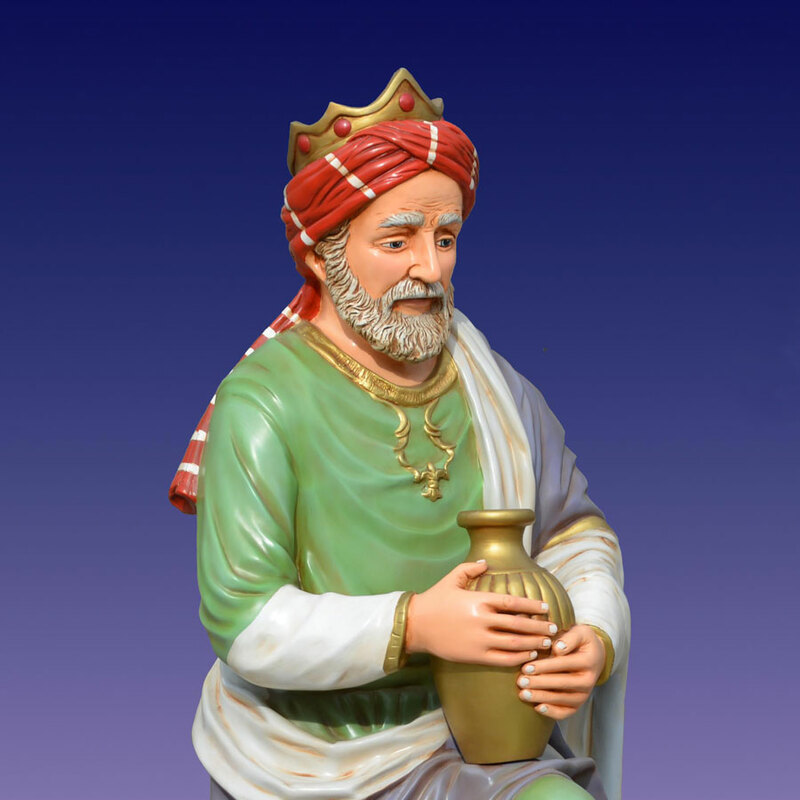 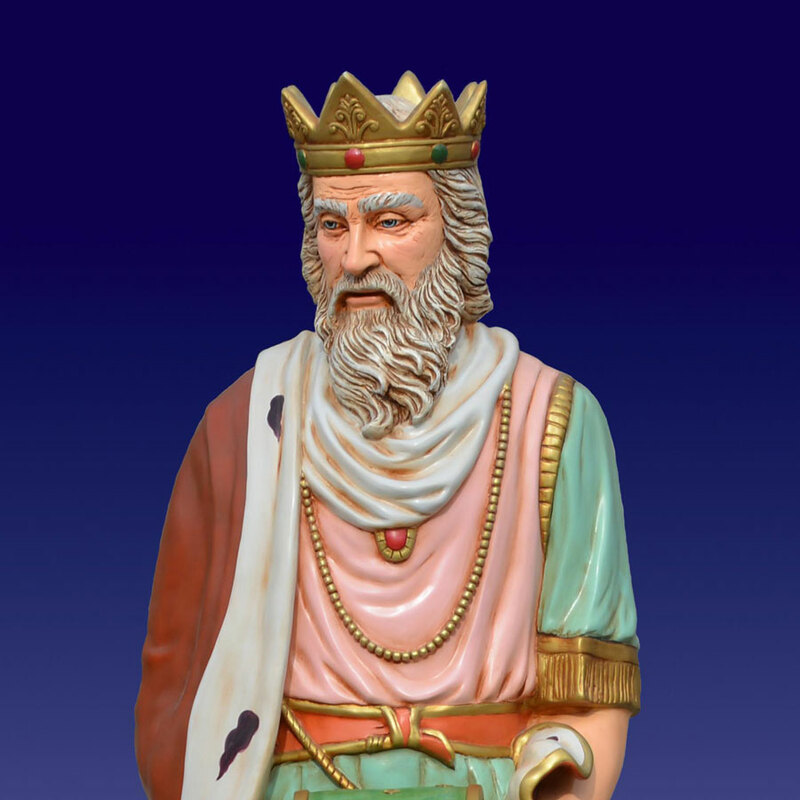 Innovative manufacturing techniques, including a patented 8-step manufacturing process, allow the statues to be light in weight, yet incredibly durable. 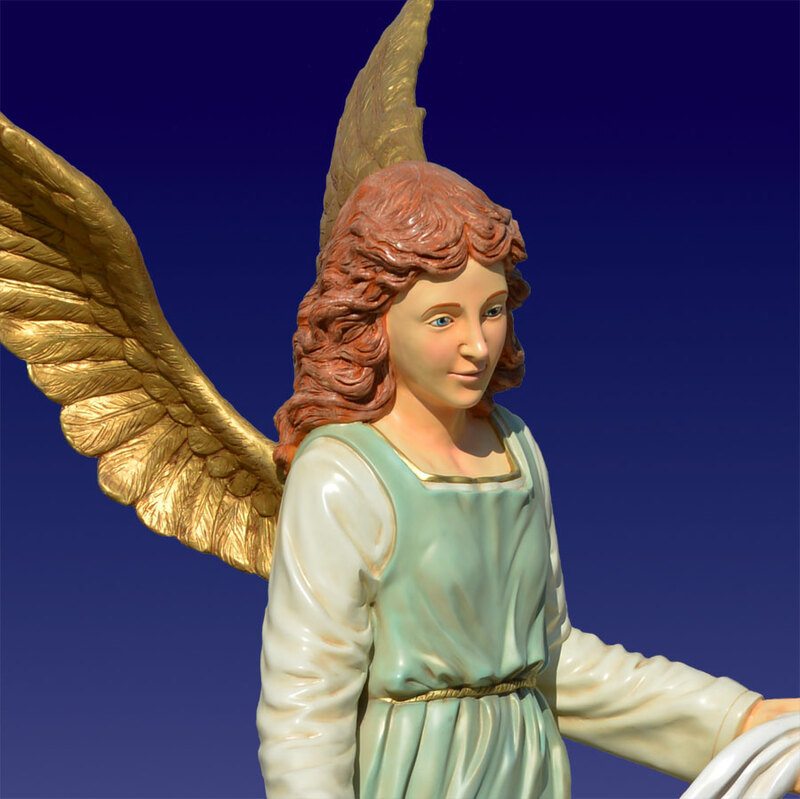 A special finish ensures that the figures will maintain their beauty for years to come. 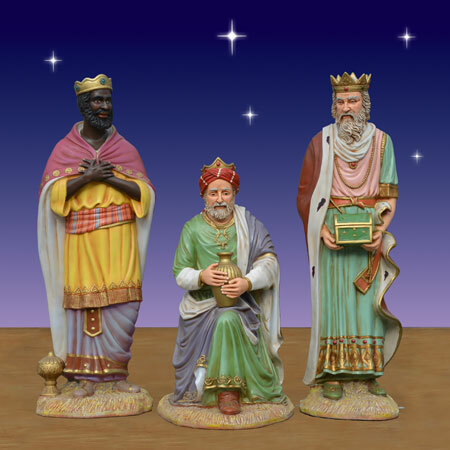 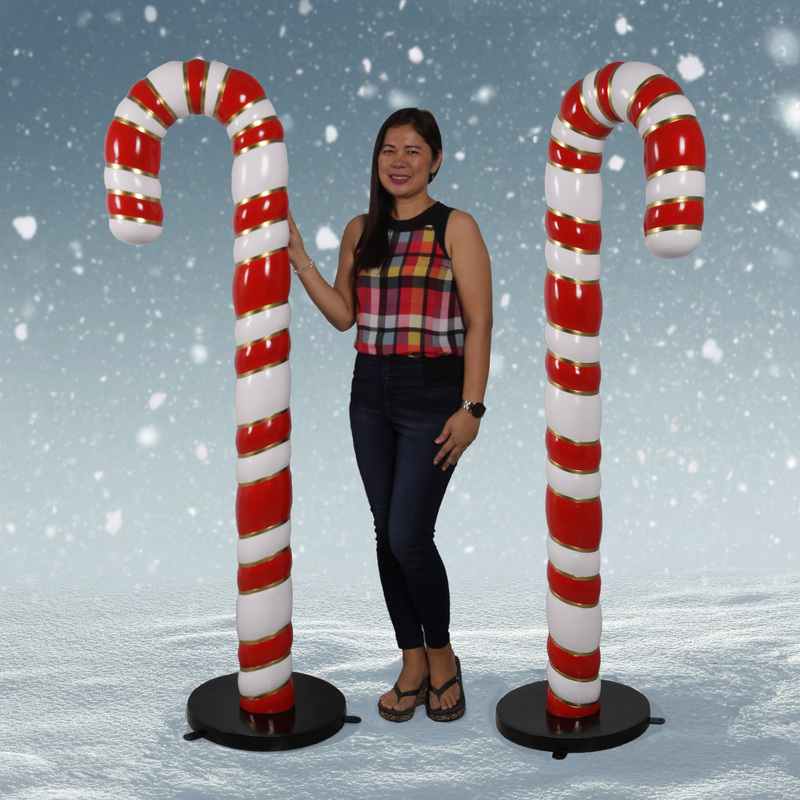 The large set is ideal for a church display. 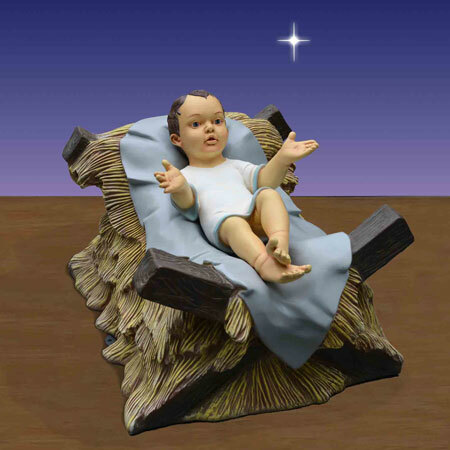 The Baby Jesus can be bolted to the manger for security.